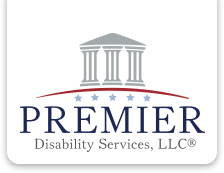 At Premier, we recognize how hard it is for claimants to navigate the long cycle of applications, appeals, a hearing, and in some cases more appeals. Unfortunately, this is the nature of applying for Social Security Disability benefits. While some disabled individuals will receive their benefits after a short time, the fact is that most claimants filing for benefits have a longer battle ahead of them. Give to the Max day is a 24-hour online fundraising event. All MN Nonprofits participate in the event. Give MN then distributes your donation to the participant of your choice. CAMP ODAYIN, a camp for children with heart disease was chosen to receive our donation on Give to the Max Day. This year’s donation was inspired by an employee of Premier Disability Services, who suffers from heart disease. In many cases, a Social Security Disability claimant may wait almost two years to have their hearing in front of an Administrative Law Judge scheduled for a specific date and time. The increasing wait times further increase how valuable hearing dates actually are to both claimants and the Social Security Administration (SSA). However, even though a claimant’s hearing date is extremely valuable, there may be circumstances where a claimant needs to postpone their hearing to a later date.